Maximize the productivity of your project with learning programs designed to meet your unique needs. Book a scheduled classroom live instructor led training, or a live instructor-led classes online, or take advantage of on-demand recorded session and self-study courses. wizCAD in conjunction with the Bentley Institute’s learning presents programs not only to give you the opportunity to advance professional growth—they enable you to adapt to the ever-changing needs of your organization, the colleagues you work with, and the industry in which you work. Our personalized offerings are strategically designed to help you benefit from the most cost-effective blend of technology and support, so you can tackle the world’s great infrastructure challenges. We also offer custom, project-fit or customer-fit training geared to the specific needs of an organization. You can take advantage of a variety of tools and resources in the Academic Program. We are committed to help prepare students for tomorrow’s infrastructure workforce, so you can learn the same powerful applications that are in use by infrastructure professionals today. Register today on the STUDENTserver and gain access to free software licenses, online learning, community forums, and more. We are committed to help you succeed. If you are an educator, contact us for an Academic Subscription so that you can take full advantage of the resources both in your classrooms and on the STUDENTserver. Log in to the STUDENTserver and download software within minutes. Choose from the wide range of applications included in the Academic SELECT Software Portfolio. If you don’t have a code available, contact us and we will respond as soon as possible to get you connected. Student AmbassadorsThe Bentley Student Ambassador program is designed to bridge the chasm between academic learning and industry by creating a global network of student ambassadors who will act as a link between Bentley Systems and their campus. This network will allow students of institutions across the world to interact with each other and exchange ideas and notes on the use of engineering software. Bentley’s Academic team is committed to ensuring educators have access to the most current engineering software and best practices for applications in this ever-changing industry. The Academic content is created by product experts in consultation with eminent scholars, professors and professionals in the industry. By participating, educators can ensure that the learning materials are contextual to the curriculum. Educators can also participate in events conducted by Bentley on the college campus. When you invest in our software, you’re taking a huge step toward ensuring project success. To get the most from your investment, your designers and engineers need to adopt and master it, fully exploiting the latest functionality to deliver the best outcomes for your projects and clients. The Institute provides learning programs for every schedule and budget allowing for continuous skills improvement that ultimately increases productivity, project quality, and profitability. The learning can be personalized to fit any business requirement, ensuring you fully maximize on the core competencies needed to establish a competitive advantage. Professional Development Hours (PDHs) are awarded for each course you complete, and team learning reports and individual transcripts can be reported to help calculate your return on investment. Much of our learning is eligible for Continuing Education Unit (CEU) credits from recognized professional associations. 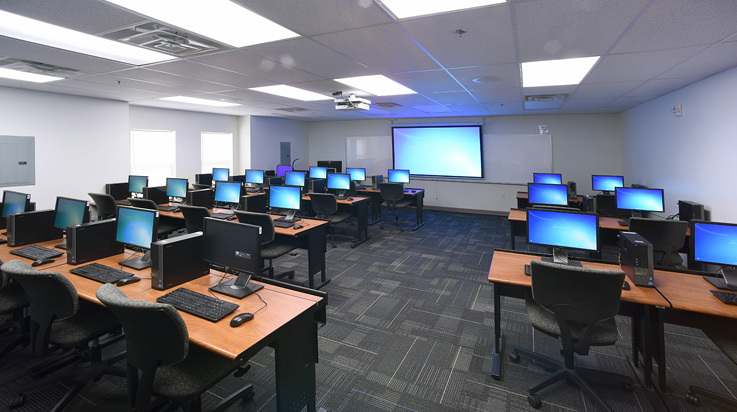 Bentley Systems is accredited by the International Association for Continuing Education and Training (IACET) and is authorized to issue the IACET CEU. 3 day course – classroom instructor led. Learn MicroStation with Civil Engineering related workflows and examples.